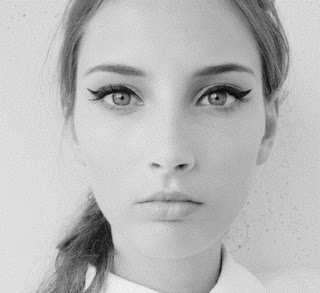 Perfecting the perfect cat-eye look takes two skills – a steady hand and a lot of patience. If you have neither, then we’ve got a how-to for you. The Harpin uses a trick in the following video that everyone will have lying around their house — scotch tape. Now, we do NOT recommend this trick on a daily basis since the tape can irritate the very delicate skin around your eyes, but for a extra special occasion, give it a shot! Just make sure you stick the tape to your clothes a bit so that the tape’s not too sticky.